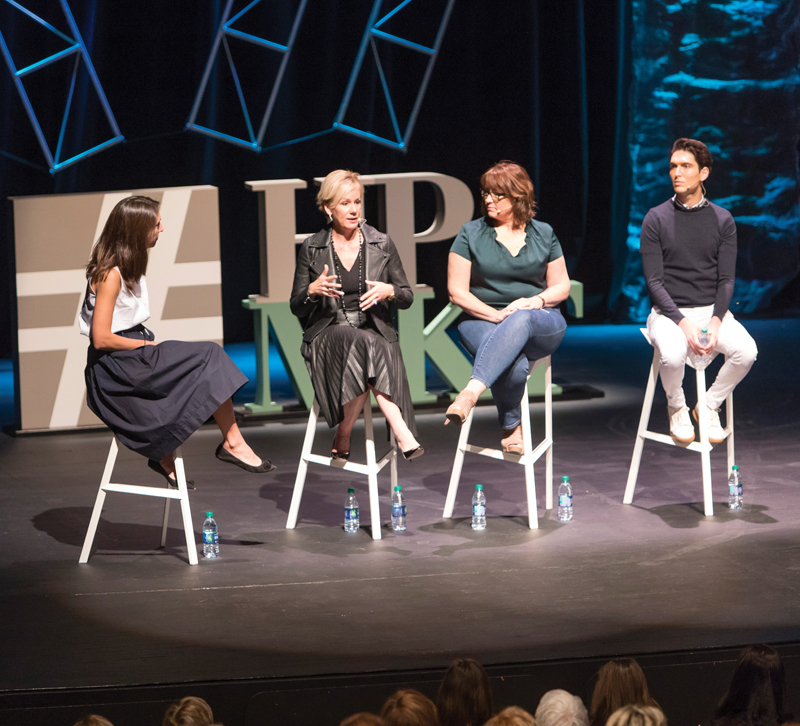 During a High Point Market discussion moderated by the Business of Home’s Julia Noran Johnston, designers Kerrie Kelly and Kimberley Seldon sat with Homepolish founder Noa Santos and pondered the future of business as usual for interior designers. New expectations and technologies have changed the game for many. Here’s what these panelists see coming in the future. The future: Technology that would allow a consumer to take a photo of a room, populate it with furniture and buy all or some of it exists and is already being used. It’s only a matter of time before it becomes mainstream. As consumers have higher expectations of technology, they will also expect designers to be using it as well. The future: Retailers have been hearing about this for some time, but only recently has the interior design community turned its attention towards the experience aspect of interior design. Designers may leave their clients with a finished product, but now it’s getting to that finished product that makes working with a designer more rewarding. “The end goal — for us at least — is not to leave you with a room that is done,” Santos explains. “The end goal is to leave you with an experience that was a dive into your own personality, your preferences, what matters to you, so that going forward, we can keep working together, and the experience just continues.” In this competitive industry, offering an experience rather than just a product will set designers up for success. How to adapt: Once you decide on your niche, build it out through your website, social media and any other marketing materials you use. Blog. Post on Instagram. Go live on Facebook. Show your potential customers what it is like to work with you, what kind of experience you will give them and why that experience is worth paying for over, as Santos suggests, a nice vacation because, as he sees it, those two things are now competing with each other. The future: As other industries become more transparent about their prices and how they source their products, consumers will expect the same from interior designers. That doesn’t necessarily mean that consumers will demand to know how every penny of their invoice is spent, but designers who are not forthcoming about their pricing structures may face serious pushback and distrust from their clients. How to adapt: Seldon has different pricing structures depending on what the client wants. If they want to purchase products themselves, she charges her design fee and that’s it. For clients that want design and purchase, she charges a design fee plus a markup on products. It’s not double-dipping, she says. It’s like buying a cell phone: You buy the phone, then add data, talk and text. “I run a business that has an open set of books,” she said, “and it’s extremely profitable, and the clients don’t hate that I make money. And they appreciate that they know where their money is going and how much money I am making on any particular item that I’m purchasing.” Essentially, transparency builds trust. The future: Interior designers that target a niche market will have greater success than those who target everyone. Search any major U.S. city on Houzz, and you’ll find hundreds if not thousands of designers vying for your clients’ attention. Add in Santos’ Homepolish and its competitors and you have a lot of designers all competing for the same work. If your message doesn’t stand out, you’re going to blend in. How to adapt: Your niche can focus on any aspect of the interior design service, so think about your personality, how you like to work and what makes sense for your business. Kelly sets a minimum for all projects and will not accept ones that don’t meet it. Seldon doesn’t work with clients who want to be involved. “I don’t want the client who wants to shop with me,” she said. “I don’t want the client who thought they’d be a designer but never did. I don’t want that client. I want the client who’s like, ‘I don’t have time to deal with this. Can you just renovate my house? Here you go.’” It may be hard to turn down work — and it took both designers years to get to that point — but in focusing on a niche client or market, both designers have carved out space for themselves and set themselves apart from other designers in their areas.